Extracurricular Activities : Dance and Music. Sports: Kabaddi. Competitions on a local level. 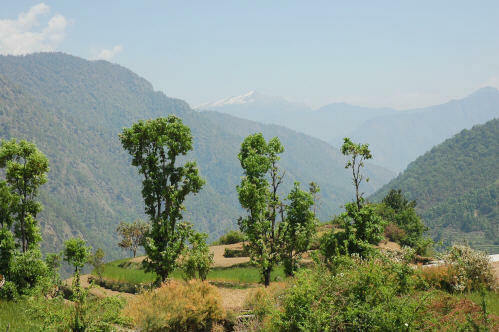 The village of Bhunalgaon is situated deep in the interior of the Himalayas at an elevation of 1898 m near the famous holy shrines of Kedarnath and Gaurikund in Rudraprayag District. 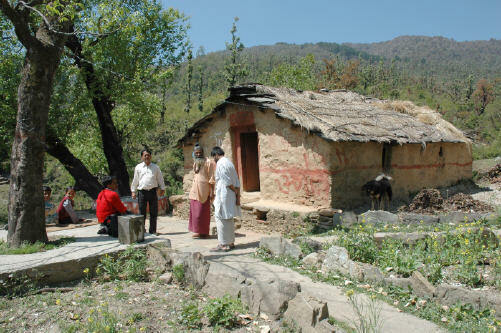 To reach this village one has to walk for ca. 3 hours (8 km) from Chenagarh (210 km from Rishikesh). Approaching from Khor (where is also an Omkarananda School), Bhunalgaon is ca. 1�� hours walk away. 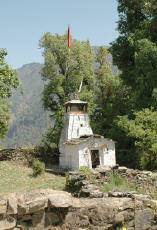 There is a Nagnath Temple between Bhunalgaon and Khor that worships "Nagaraja" (King of the snakes). Omkarananda Ghunisar Bal Vidyalaya, Bhunalgaon, has a magnificent view of the snow-capped Himalayan mountain range and terrace fields. Next to the School, there is a big tree that provides cool shades in the summer. 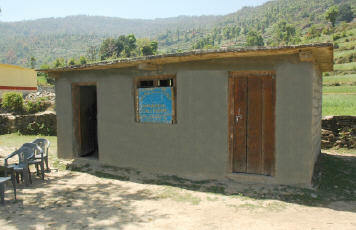 The School has been founded in 1997 and runs Classes I to Classes V, serving children from a radius of 2 km. Other than academic studies, the children also learn Garhwali music and dance. Some play Kabaddi as a sport and compete on a local level.